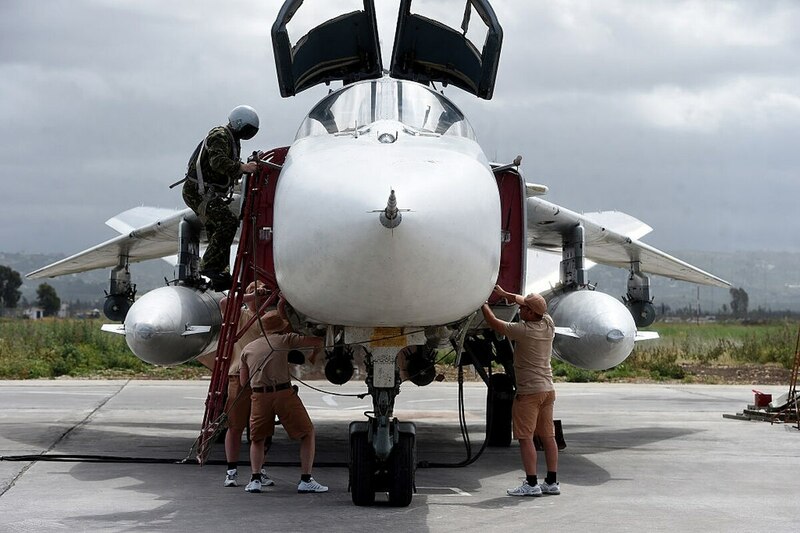 WASHINGTON — As Russian and American forces have settled into Syria, analysts and experts have noticed a clear pattern from the Russian forces. Moscow is using Syria as both a test bed for its newest capabilities and as an opportunity to see American equipment such as the F-22 fighter jet up close. It’s a development that has raised concerns that Moscow may be gaining a military edge over the U.S. from its experiences in the region. The good news for America’s military? It’s doing the same thing. “Certainly, we’ve learned a lot about some of the capabilities that the Russians have brought to Syria,” Lt. Gen. Jeffrey Harrigian, the outgoing head of U.S. Air Forces Central Command, has told Defense News. “Could we have learned more? There are probably some areas out there that we need to make sure we watch. Harrigian spoke to Defense News ahead of his transition this week out of the region and to a new role as deputy commander for U.S. Air Forces in Europe Air Forces Africa, where Russia will be an even greater factor in his day-to-day life. And he agrees Moscow has taken full advantage of the situation in Syria to grow and train its military. “It’s pretty clear to me the Russians have leveraged Syria as an opportunity to look at their capabilities and get a sense of where they’re at,” he said. “Not only from the weapon system perspective, but also with their people, rotating their forces in and out of there, frankly to get some combat time on them. Originally, U.S. air assets were only focused on the fight against the Islamic State group, but over the last 18 months they have begun to gatherer information about Russian capabilities. Harrigian called out the chance to see how Russia operates the Su-34 and Su-35 fighters, while gathering data on those and other Russian assets, as now part of the operating plans for the U.S. in the area. Russia is not entirely pleased with the state of affairs of the past two years. And the U.S. ability to gather data is likely to increase come fall, when the F-35B Joint Strike Fighter appears in Central Command’s area of responsibility. “Clearly, the F-35 is a capability that will provide us greater insight into, I’ll kind of call it the operational environment. And given its sensors, we’re going to learn some things, just like the Israelis are,” Harrigian said, referencing the Israeli use of F-35s in the region. That comes back to a broader aspect of American air power Harrigian would like to see improved: speeding up the cycle of information gathering, processing and dissemination. “I think what we’re seeing out there is the ability to learn from what we’ve got [on] the battlefield, change the software, do whatever we need to do to get that capability back to the war fighter as quickly as possible — that will be key in my mind to any future operation that we would find ourselves involved with,” he said.